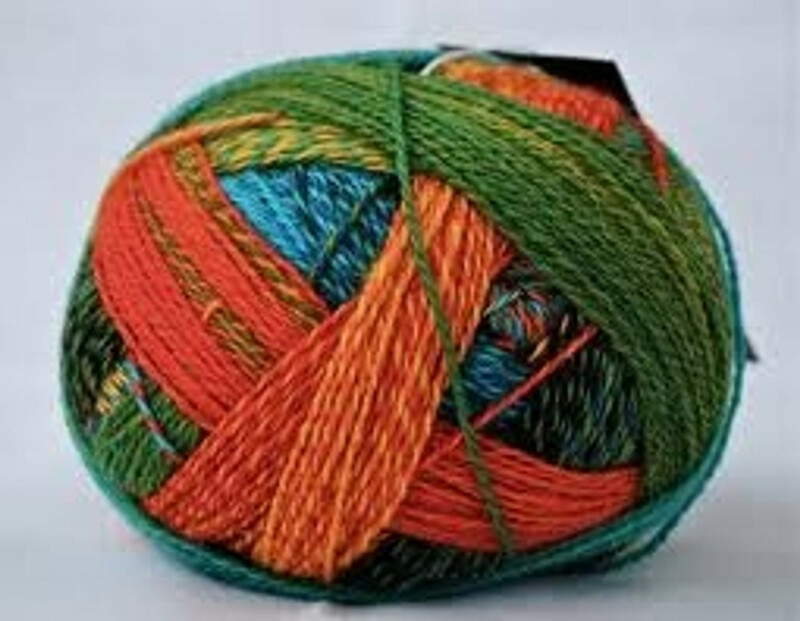 Crazy Zauberballs are sock yarn in a range of colours. The yarn consists of 75% wool and 25% nylon and has a tweed like effect (with two colours wound together). You never know what colour each stitch will be!